Seeing as they're living in the meridian of time, something tells me that those guys are never going to get any cell service--wise men indeed! Today's gag comes from the fertile mind of faithful reader Emily P.
And thanks, Emily! You have great ideas. Thanks. I can't really claim this as my idea though. 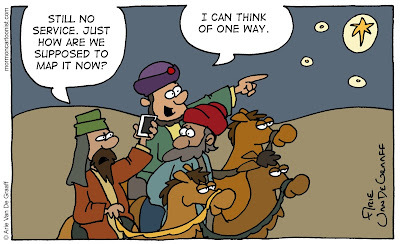 One of my little CTR's told me that if Jesus were born today we wouldn't need a star, we could use google maps. 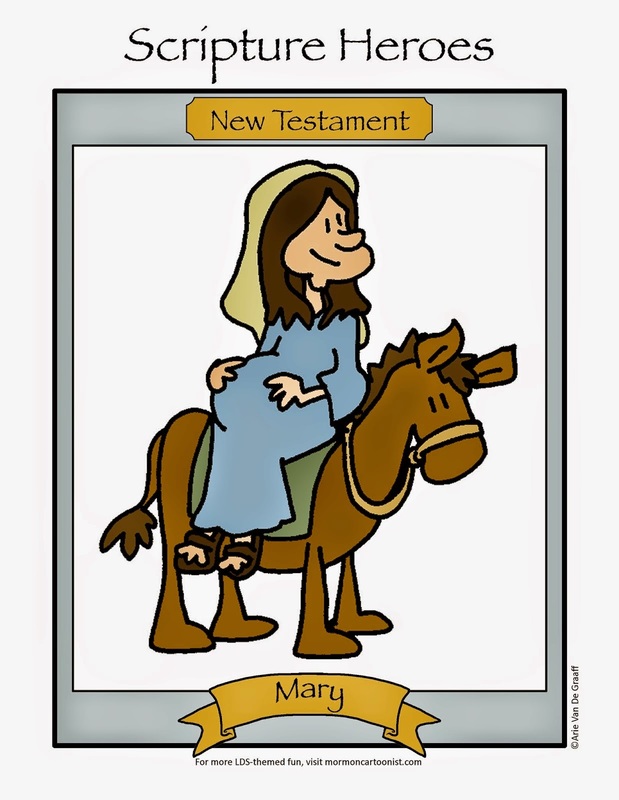 I told Mormon Cartoonist, and a cartoon was born. His rendition is more comical, and gives room for thought.